When KTM entered the Indian market back in 2012, the Orange firm from Austria created an uproar among the Indian biking fraternity. We finally had affordable performance-oriented bikes, after years of longing for faster imported machinery. 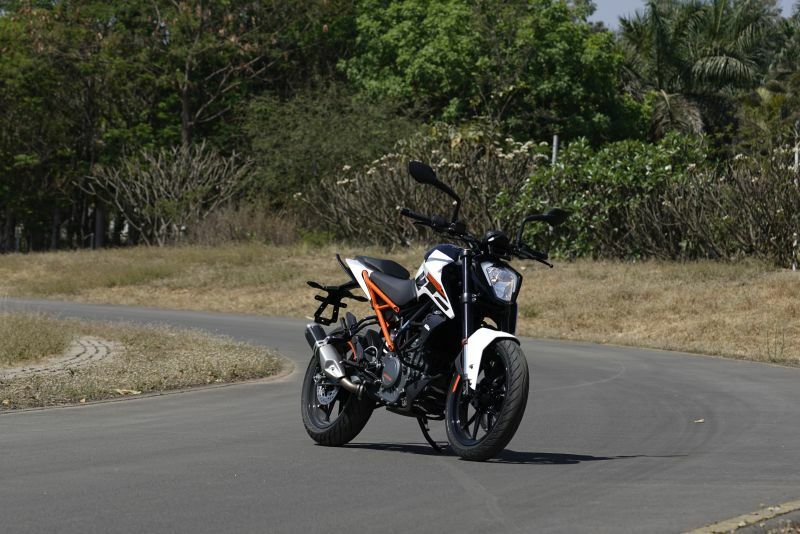 Since their launch, the 200 Duke and 390 Duke have been the enthusiasts’ choice for fast, nimble street bikes, and now KTM have gone ahead and introduced a 250-cc Duke to fill the void between the two previous models. Launched alongside the 2017 200 Duke and 390, the 250 Duke is a completely new machine to our market, and seems ideally placed for the customer who wants a little more power than what the 200 offers, while not spending the premium that the 390 demands. Better fuel economy than the 390 could also be a deciding factor in our mileage-obsessed market. To give you an idea of where the 250 Duke stands, it makes 30 PS at 9,000 RPM, which is 5 PS more than the 200 makes at 10,000 RPM and 13.5 PS less than the 390 makes, also at 9,000 RPM, and while the 200 Duke makes 19.2 Nm of torque at 8,000 RPM, the 250 makes 24 Nm at 7,500 RPM, which is 12 less than the 36 Nm made by the 390 at 7,000 RPM. Standing in the pit lane at the Bajaj test track outside Pune, most of us journos couldn’t keep our eyes off the new bike. 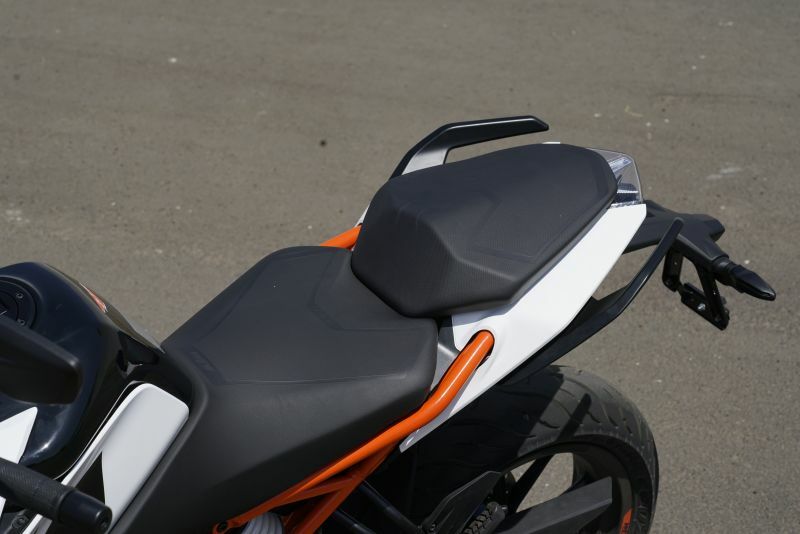 The 250 Duke looks almost identical to the 2017 390 Duke, with both models sharing the large sculpted tank with stretched-forward tank shrouds, wider and more comfortable seats, tail section, side-mounted Euro 4 exhaust, new handlebar, and wide rear-view mirrors. The 250 also gets the added convenience of a slipper clutch, which will eliminate rear wheel hop during aggressive downshifting. 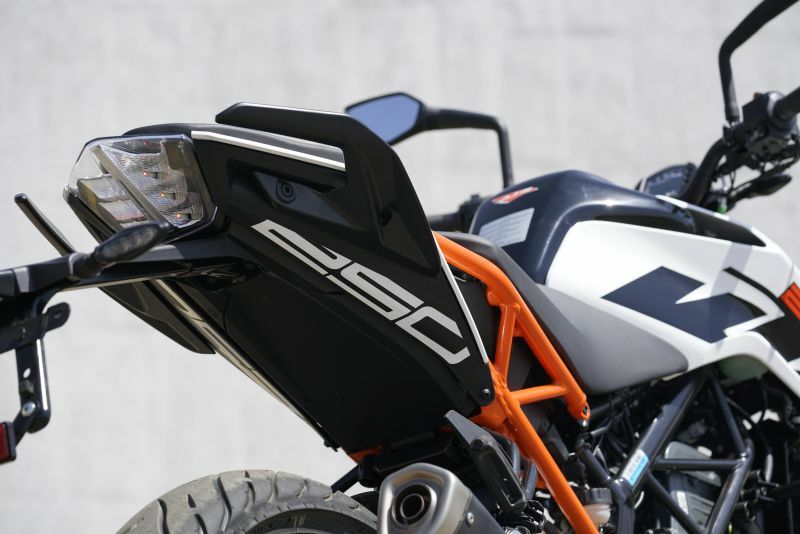 The sharply raked headlight adds an aggressive character to the frontal visage of the bike, while the split trellis frame is powder-coated black up front, with the rear sub frame is KTM Orange. The bike gets an updated version of the old instrument panel, with the inclusion of real-time fuel economy, but unfortunately we don’t get the 390’s TFT screen and larger 320-mm disc up front, while the lack of ABS seems like a glaring omission. 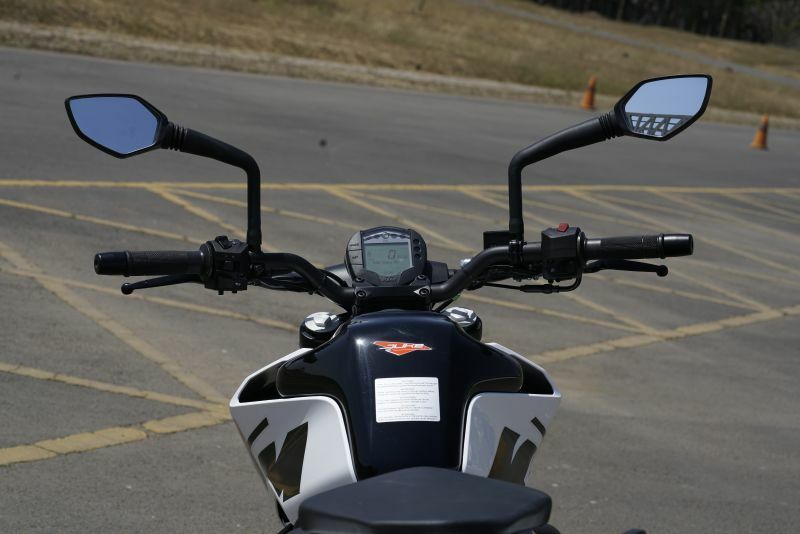 The 250 also misses out on the reach-adjustable brake and clutch levers that do duty on the 2017 390 Duke, but these can be retrofitted if you are not happy with the stock lever reach.